In the words of Steve Kerr, the Lynx sent Wednesday "showing patriotism through community service." Unlike most previous WNBA champions, this year’s Minnesota Lynx were not invited to visit with the president at the White House. 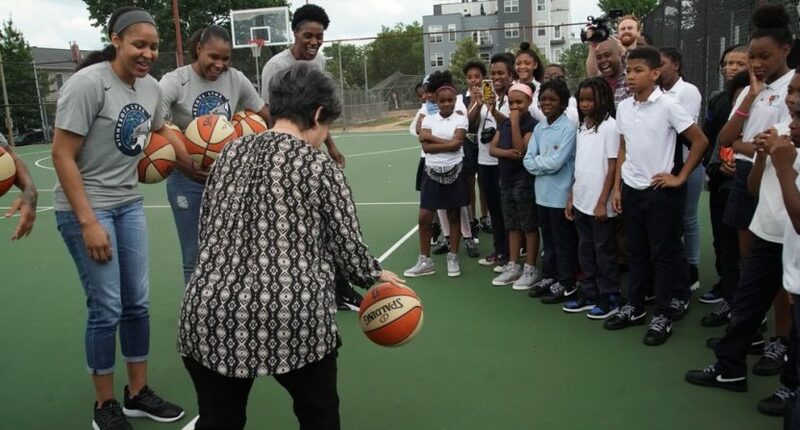 But that did not stop the team from arriving in Washington D.C. the day before their game against the Mystics to engage with the community. The Lynx spent the day Wednesday not only meeting with Minnesota congresspeople but also giving out socks and shoes at a local elementary school. According to the Star Tribune, the Lynx passed up what would have been a day off. The Lynx won the WNBA title in 2017 for the third time in six years. After both of their previous championships they were invited to the White House by President Obama. This time, with Donald Trump in office, the invite never arrived. No White House invite for the WNBA champion Minnesota Lynx? All of this, of course, comes days after Trump uninvited the Super Bowl-champion Philadelphia Eagles from the White House when the team said it planned to send only a small delegation. Ultimately, the Lynx seemed to have a pretty nice day in D.C. on Wednesday, White House invite or not.